The foundation of any successful SEO campaign is valuable content, and this is especially true for car dealerships building automotive SEO campaigns. Consumers usually know less about vehicles (their inner workings, how they are made, how they run, etc.) than most other products that they buy. This leaves a gaping hole that your knowledge can fill, if you know how to create content that your readers will actually be interested in and will find valuable. Google puts a lot of emphasis on how useful content is. The more useful it is, the more valuable it will be to your readers, and the more weight Google is likely to give it when compiling search results. 1. Think about your customer. 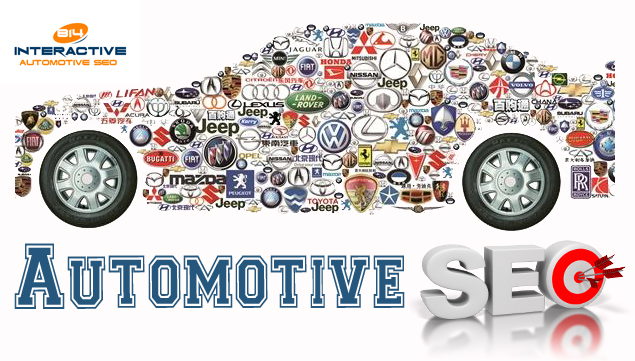 Most car brands try to appeal to as many different people as possible, but there is probably a certain type of person that your vehicles are catered towards. Whether your brand appeals to many different types of customers or whether your brand focuses specifically on one niche of the car buying world, understanding those customers and what kind of content they are looking to read is vitally important. 2. Consider what questions your customers have. You probably are asked the same questions over and over, whether on the phone, by email, or on the lot. Paying attention to these questions and to which ones recur is a great way to get insight into the mind of your customer and what kind of information they want or need. If they are asking you those questions, they are probably also searching for answers to those questions online. If your content answers those questions, it can be a great way to direct people to your dealership’s website. 3. Think about the car buying process. Your customers will want different information about your brand and vehicles at each stage of their buying process. When they are just starting out, they want general information about the entire process. Then, they want information that will help them narrow down their choices. Then, they want information about the specific vehicle, and then information about caring for that vehicle. Providing information like this gives you the ability to target a wide swath of the population. 4. Format your content properly. There is nothing more boring or more difficult to read than huge paragraphs of text, all grouped together, with no whitespace. If this is the case with your content, you might be turning away potential customers that don’t want to sift through these paragraphs in order to get the information they need. Instead, formatting your posts in lists or in short paragraphs that can be skimmed and incorporate plenty of white space makes content easier to read and therefore more valuable. No one likes the dealership that sits at the edge of the online community and just dispenses their knowledge on their blog. It can make you seem aloof and even a little disconnected from what really should be a community. Getting involved in that community by posing on forums, writing guest posts, answering questions, and more is a great way to circulate your name and to appear more committed to providing valuable information to as many people as possible. Forum posts and discussion board comments are a great place to start, but guest blogging is the best automotive SEO tool in your tool box. 6. Create different types of content. Blog posts and other types of text seem like the most rational choices for an automotive SEO campaign that relies on keywords. Podcasts and videos don’t provide the same opportunities for incorporating keywords, but they do allow you to show another side of your dealership’s personality. They also give you a way to connect with people that are less likely to read a blog post than they are to watch a video. Trying to talk about too many different topics can actually drive readers away from your content and make SEO less effective. Trying to incorporate certain keywords can help you narrow the focus of your content. In general, try to stick to a slim niche of topics that you know your customers want to read about. Readers that are interested in the main topic of your blog, for example, will be put off if you start posting about unrelated topics. Those who are interested in the unrelated topics won’t stick around to read your other posts. 8. Create content you can give away for free. Your goal with automotive SEO is to first, get people to visit your website, and second, to create a relationship with those consumers that makes them want to visit your lot. You give something away, and eventually, consumers will come to your lot to return the favor. 9. Talk about your dealership. People like to know what they can expect when they arrive at a store to purchase something. Talking about what your buyers can expect when they come down to your lot is a great way to convince them that you are the dealership they want to do business with. Showing your personality is always valuable. You can also take time to talk specifically about the cars you have on your lot, who they are perfect for, their positive and negative aspects, and more. This equips your readers will a lot of great information they can use to prepare themselves for the car buying process, which is, again, always extremely valuable.